One of my favorite things about Katie & Andy’s wedding day is that it proves you don’t have to have perfect spring weather to have a perfect spring wedding. 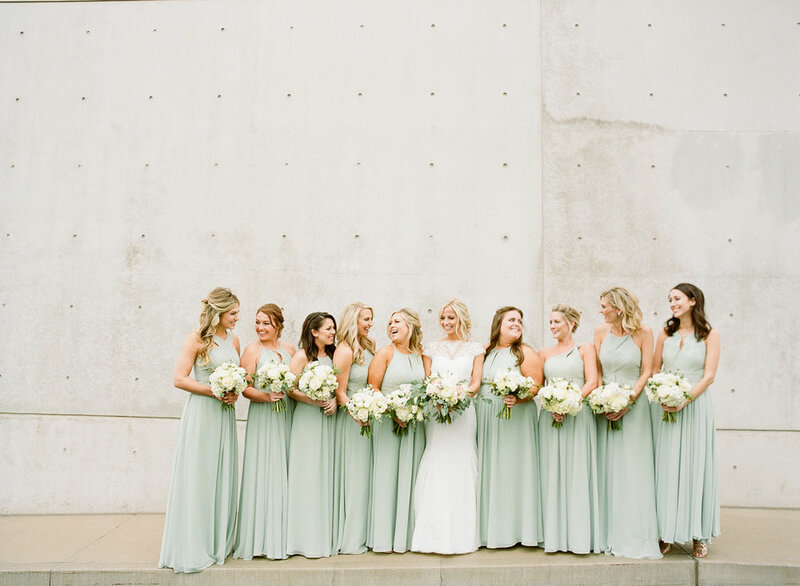 In fact, the grey skies actually complimented the color palette of soft greens, white, silver and touches of peach perfectly! Heather Roth captured the most gorgeous photos, and I truly think the overcast day provided the perfect backdrop. Katie & Andy were married at the Shrine of St. Joseph, followed by a beautiful reception at Palladium St. Louis. The industrial interior of the space was softened with rustic farm tables, soft linens and ceiling draping. White flowers and lots of lush greenery provided a fresh spring feel to the room, with a dramatic head table draped in greenery and lilac! Thank you to the amazing team of vendors we had the pleasure of working with, and to Katie & Andy for entrusting us to bring your vision to life! !